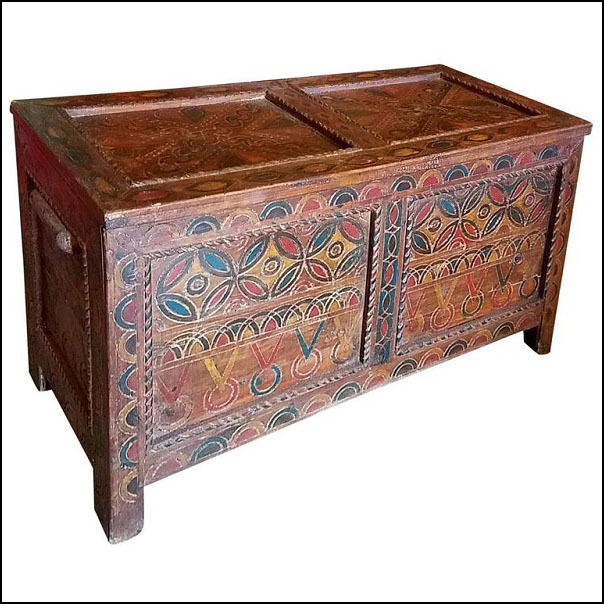 We carry a wide range of beautiful Moroccan trunks. This one is a very solid Cedar wood trunk, with lots of storage space, and can be used as a TV stand, aquarium support base, blanket chest, or just stand alone as a show piece. Amazing carvings throughout as you can see in the pictures. The trunk measures approximately 40″ in length, 23″ in height, and 17″ in depth. Please let us know if you have any questions.